Freshen that breath and Pucker up! 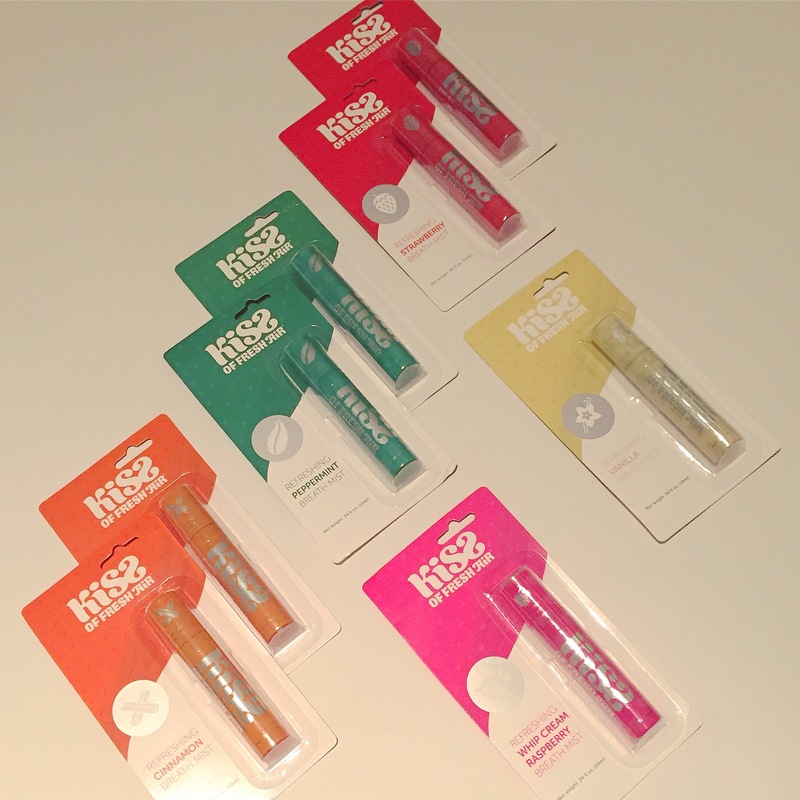 Kiss of Fresh Air is a flavoured breath mist and a cute little stocking stuffer idea! With tons of flavours and small convenient bottles, this will surely freshen you up in time for a smooch under that mistletoe. They have Cinnamon, Strawberry, Lemon, Vanilla, Peppermint and Whip Cream Rasberry mmmm my fav! Perfect combo of a little flavour and the fresh taste of mint. No more getting caught with bad breath folks!